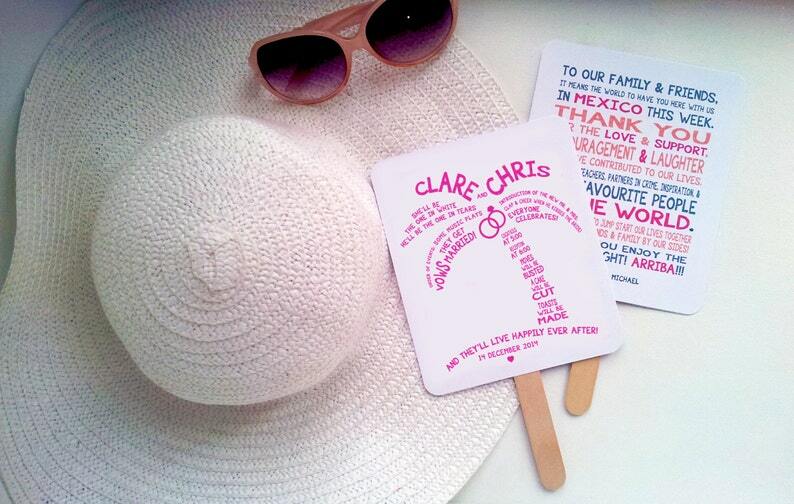 A completely customizable double-sided Palm Tree wedding program fan that will be 5.5" x 6.5" (plus a 3" handle). You can have anything you like written in the Palm Tree and on the back! Change any or all of the wording to suit your special day. If you are looking for something simple and sweet, this is it. Your guests will enjoy reading through this fun Palm Tree program, and cool down in the hot weather. They turned out absolutely perfect!!! Thank you!!! Easy to put together and they look great. Love my palm tree program fans. They turned out perfect! Can't wait to use them in just a few weeks!